So I picked this up for 2.99 at my local Pac'n'sav. Sunshine brewery was sold last year to 4 new owners one of whom owns Vintners Ltd (Mark Young). Vintners is a national wine distribution and marketing company and they have also taken over distributing Gisborne Gold. Thats probably how it managed to get a spot on the shelf at Wairau Pac'n'sav, home to a usually dismal selection of craft beers. 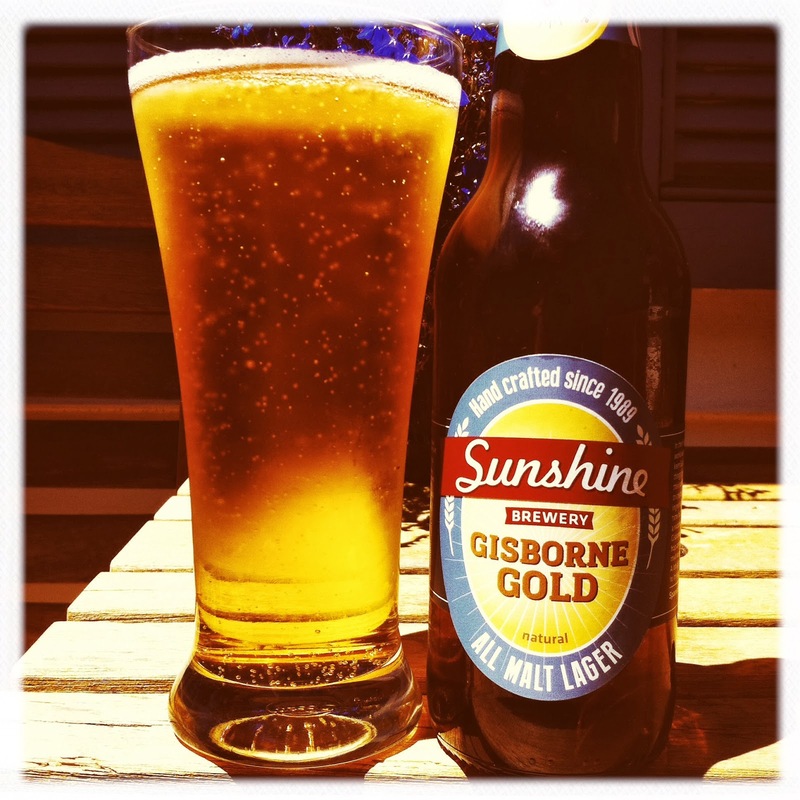 Gisborne cold is a crystal clear honey straw colour with abundant carbonation and a serviceable white foam head. Head retention is excellent as thousands of bubbles keep it going right till the end of the glass. Sunshine in a glass alright. I love the hop profile, its quite surprising for a lager. Not too much is given away on the nose but there is a lovely grapefruit bitterness with an underlying smoothness of tropical fruit. The malts are lovely and crisp with hints of toast. It finishes with the hops and a refreshing bitterness lingers. It just feels like a fresh beer, sometimes I get a real musty/dusty flavour from some of the mass produced lagers but Gisborne Gold just screams refined crispness. This is a very drinkable beer. Much better than anything you'll find in a green bottle sold by the dozen at Pac'n'save thats for sure. At 4% ABV and super drinkable is a perfect lawnmower beer. Will definitely be a summer favourite if I could find it in reasonably priced six packs.